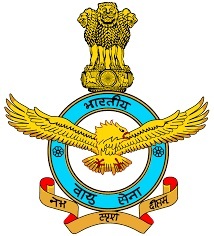 Indian Air Force invites applications for the posts of 40 Cook, Safaiwala & Various Vacancies. Apply before 30 Days from the Date of publication. For Cook : Matriculation or equivalent qualification with 6-months experience in trade. For Safaiwala : Matriculation or equivalent qualification. How to Apply : Interested candidates may apply in prescribed application form along with attested copies of relevant documents & recent passport size photograph send to Officer-in-Charge Civil Admin Section of the concerned Air Force Station on or before 30 Days from the date of publication.